Combat your home rugs, tiles, sealed wooden floors, laminate, lino and vinyl with simplicity and ease. The Bissell 1713 CrossWave Hard Floor and Rug Cleaner does all of the hard with innovative technology, so you don't have to. 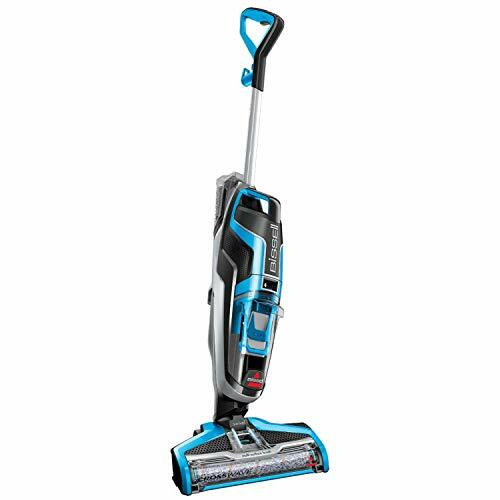 The Bissell 1713 has extremely powerful suction to aid you to be able to rid your floors of unwanted dirt and dust, whilst simultaneously scrubbing using the unique multi-surface brush roll. For instance, when it comes to hard floors, The CrossWave washes to a remarkable standard, its brush-roll and multi-surface formula powers through stains and sticky messes for a thorough and streak-free result. For a quick pick-me-up the Bissell 1713 is able to revitalise your rugs by carefully injecting warm water and multi-surface cleaner into the fibres of your rug to effortlessly remove dirt and dislodge any grime. Simultaneously vacuum and wash the floors in your home in one easy step.